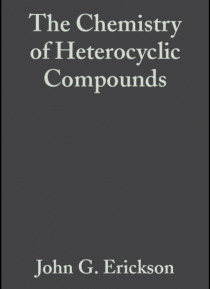 The Chemistry of Heterocyclic Compounds, since its inception, has been recognized as a cornerstone of heterocyclic chemistry. Each volume attempts to discuss all aspects properties, synthesis, reactions, physiological and industrial significance of a specific ring system. To keep the series up-to-date, supplementary volumes covering the recent literature on each individual ring system have bee… n published. Many ring systems (such as pyridines and oxazoles) are treated in distinct books, each consisting of separate volumes or parts dealing with different individual topics. With all authors are recognized authorities, the Chemistry of Heterocyclic Chemistry is considered worldwide as the indispensable resource for organic, bioorganic, and medicinal chemists.